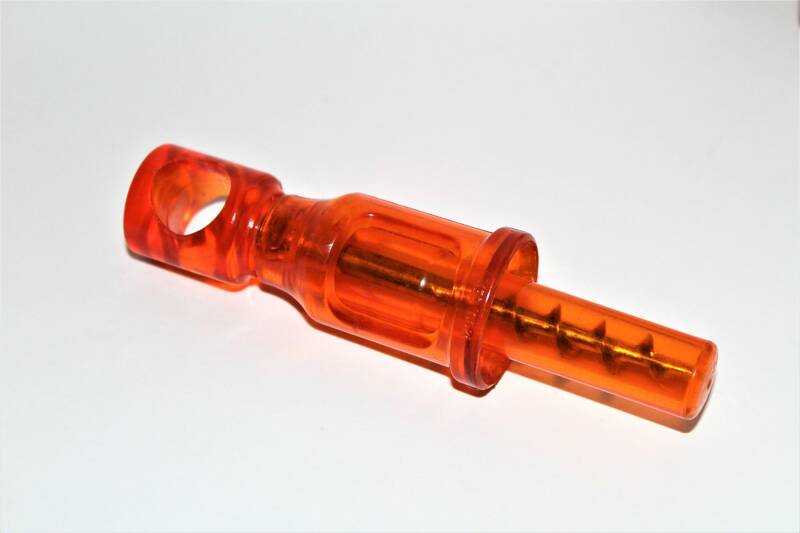 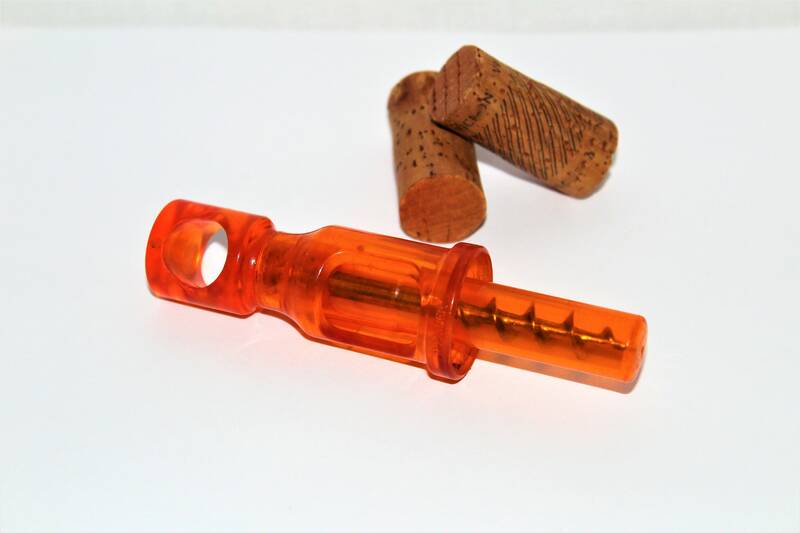 Wonderful Mid-Century orange acrylic picnic style corkscrew made in Italy. 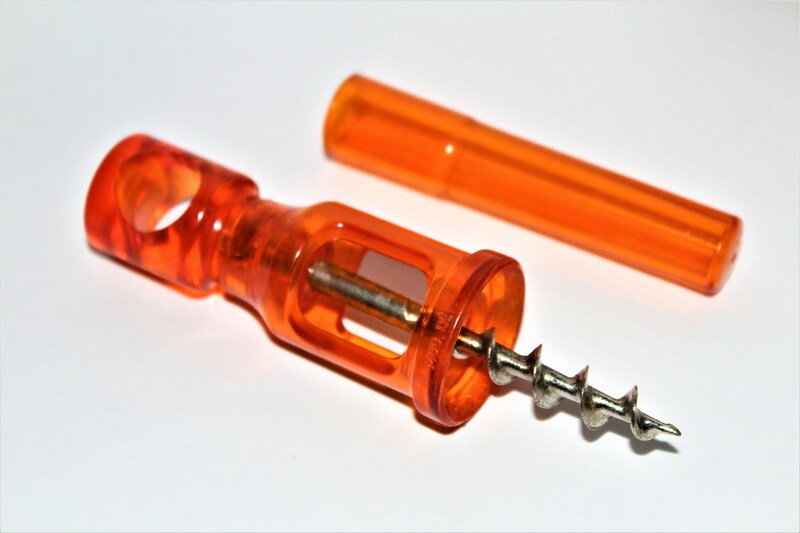 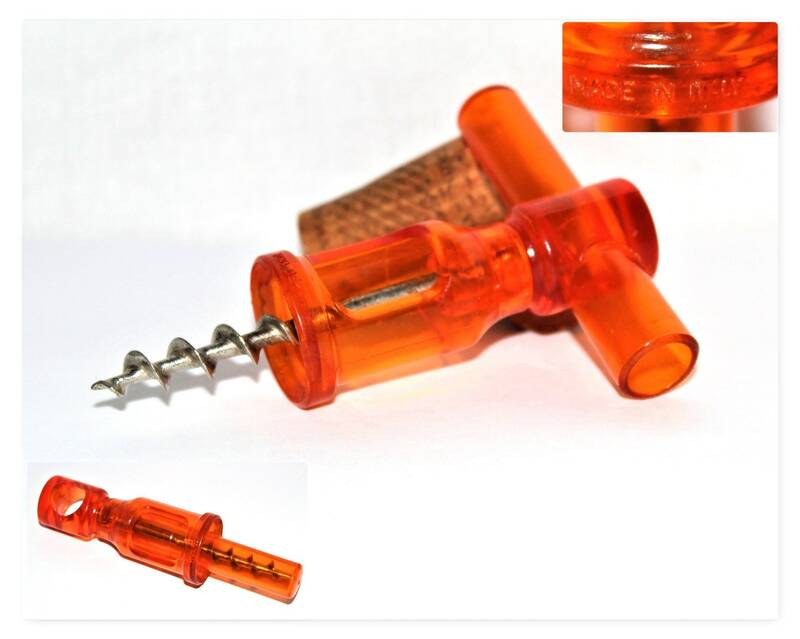 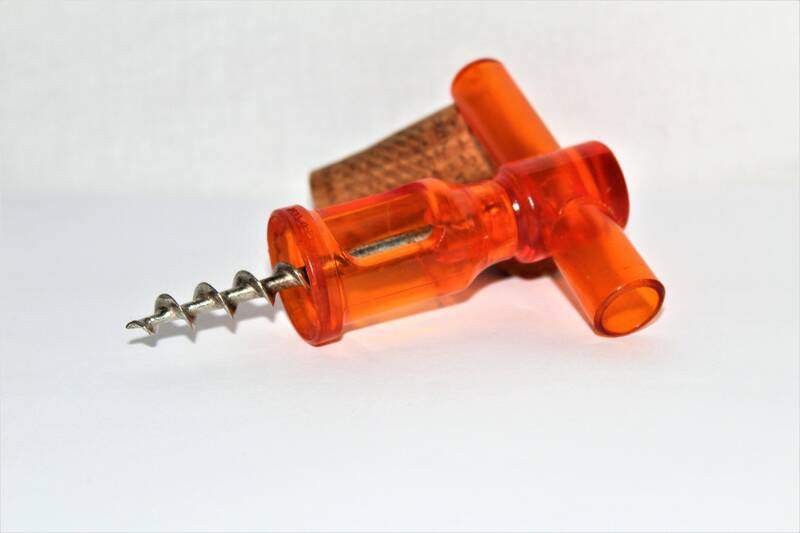 This is one of the more practical picnic style corkscrews with and added bell around the screw which helps pull the cork from the bottle with ease. 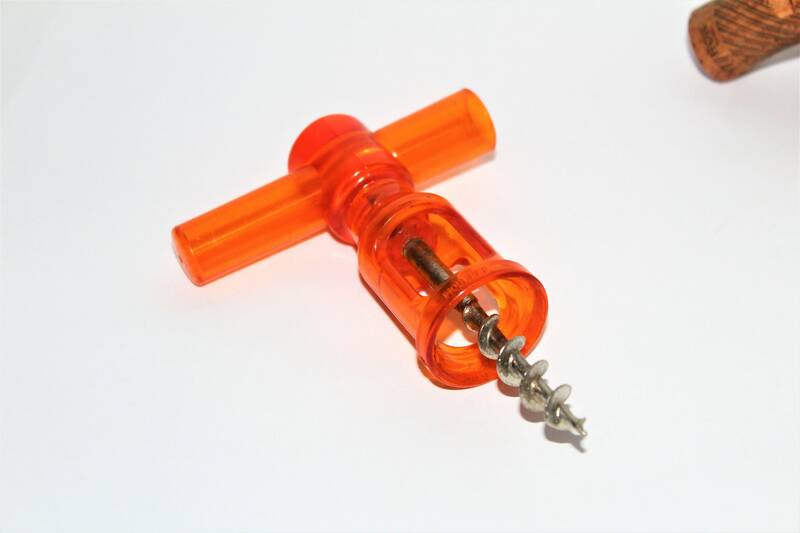 The corkscrew also features an Archimedean style screw with is not often seen.